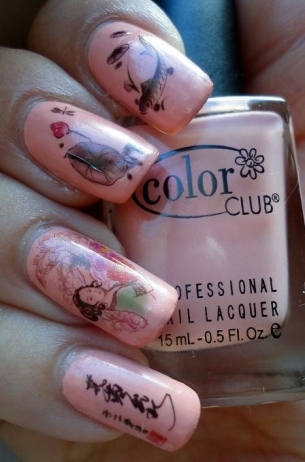 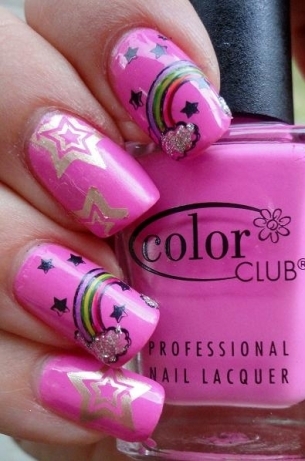 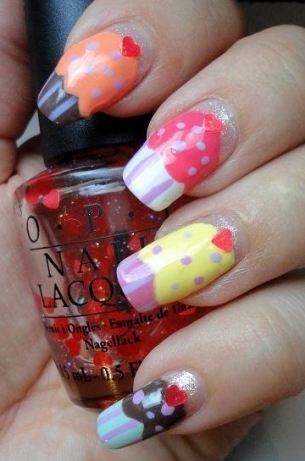 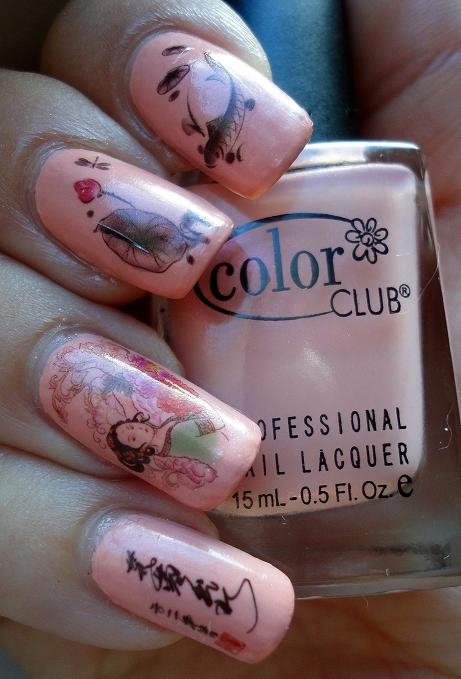 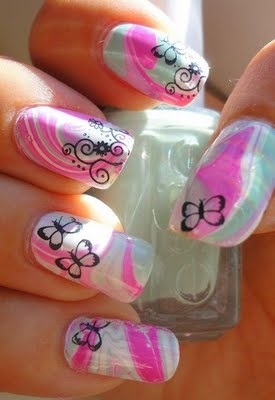 Cute and Girly Nail Art Designs. 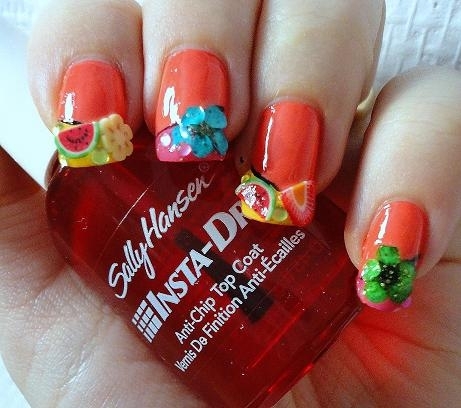 Nothing can cheer up your day more than a cute and girly nail art design featuring vibrant hues and fun motifs to compliment your bubbly personality. To make sure your nails look hot and trendy check out a few cute nail art designs and draw inspiration for your next mani! 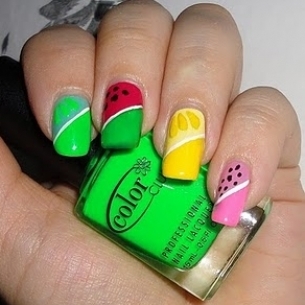 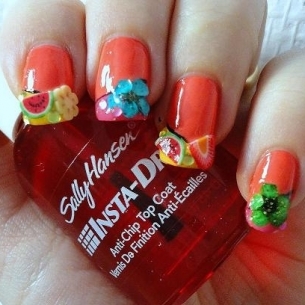 If you love having fun with color, you should definitely brighten up your nails with cute and colorful nail art designs. 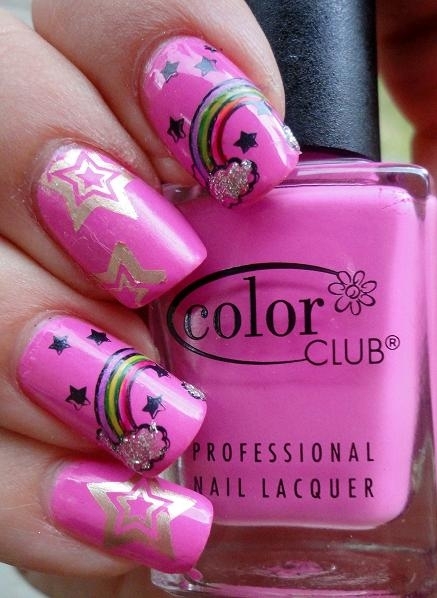 The wonderful world of nail designs takes you on an endless journey where you will fall in love with a multitude of stylish designs, so find the ones that suit your bubbly personality and give your nails a boost of style. 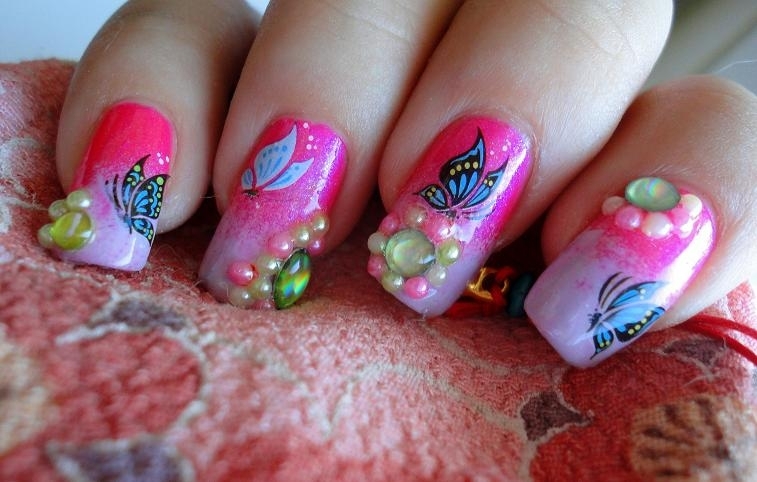 Go for some cute and girly nail art designs if you wish to have your nails follow your spontaneous and fun personality as their power of bringing a smile is incontestable. 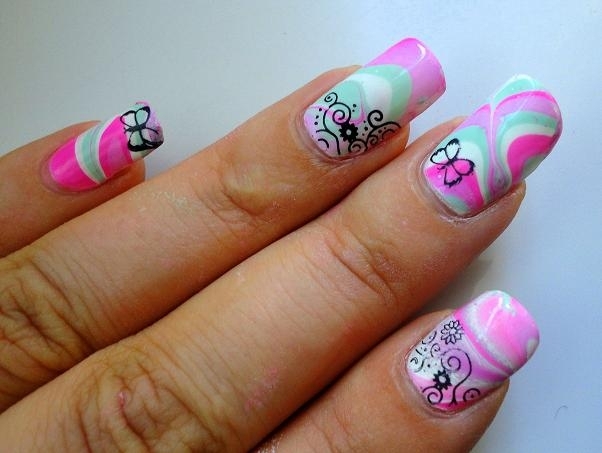 There are various tools you can turn towards for help when opting for a sophisticated nail art design and you can achieve a DIY nail art design without too much effort. 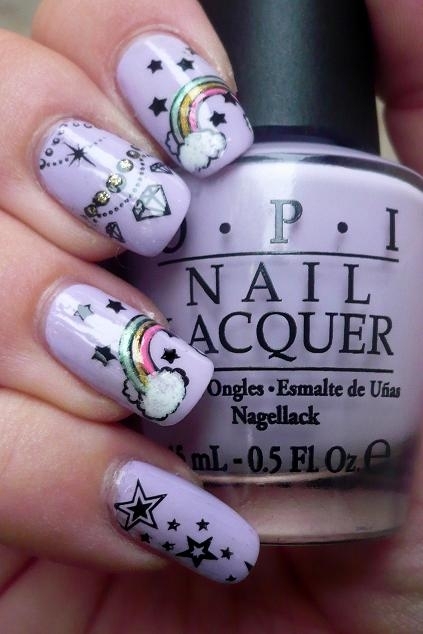 Check out the following nail art designs created by the Finnish talented nail art enthusiast from the Charming Nails blog and find ideas for your next manicure. 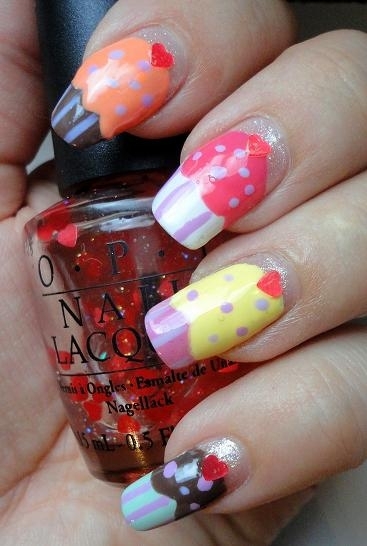 Get inspired by a delicious cupcake, by the flowers in your garden or by a colorful rainbow from the sky, so let your imagination run wild and draw inspiration from what appeals to you most. 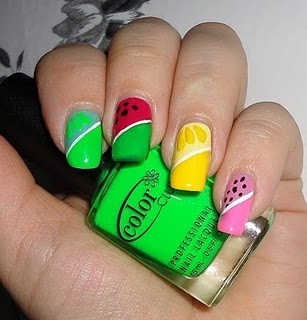 The rich nail polish palette enables you to mix and match various colors to create amazing nail at designs that are fun to make. 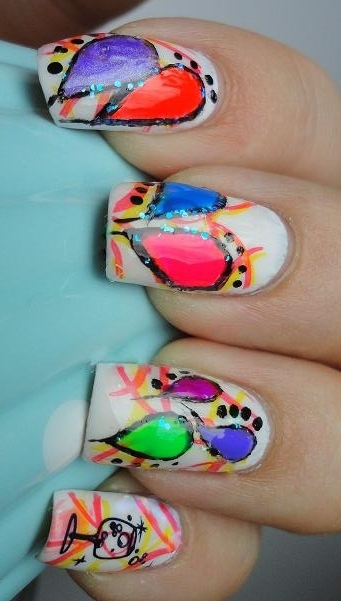 A colorful nail art design is a perfect match for the new season, whether its a marbled effect nail art design or an embellished and uber-sophisticated design featuring multiple colors. 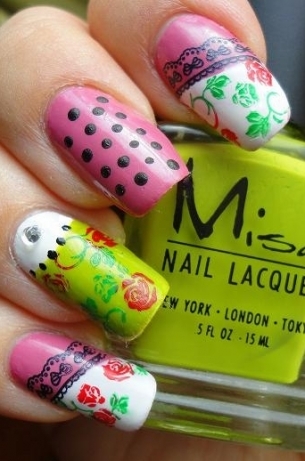 A nail art brush and a dotting tool are definitely two essential tools when it comes to a detailed manicure, so make sure you choose right and practice using the tools that have been created to make your job easier. 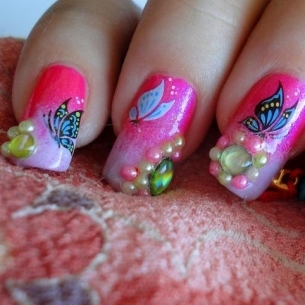 Nail art stamps such as Konad, nail art stickers, nail art pens as well as cute rhinestones and glitter dust are all a perfect choice when seeking to create a glam nail art design. 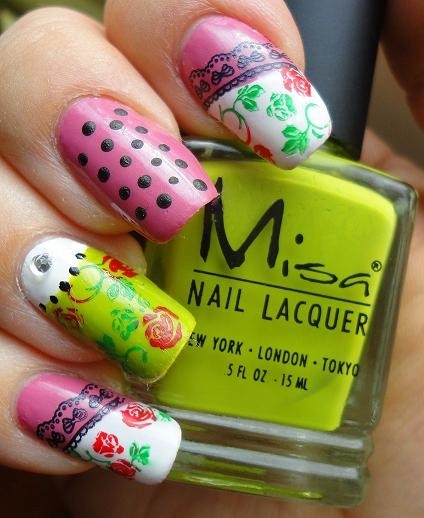 Draw your own designs with acrylic paint and a brush if you're skilled or select your favorite Konad plate and stamp your favorite designs on without any effort. Always seal your design with a clear top coat after the nail polish base has dried to make your nail art last longer.